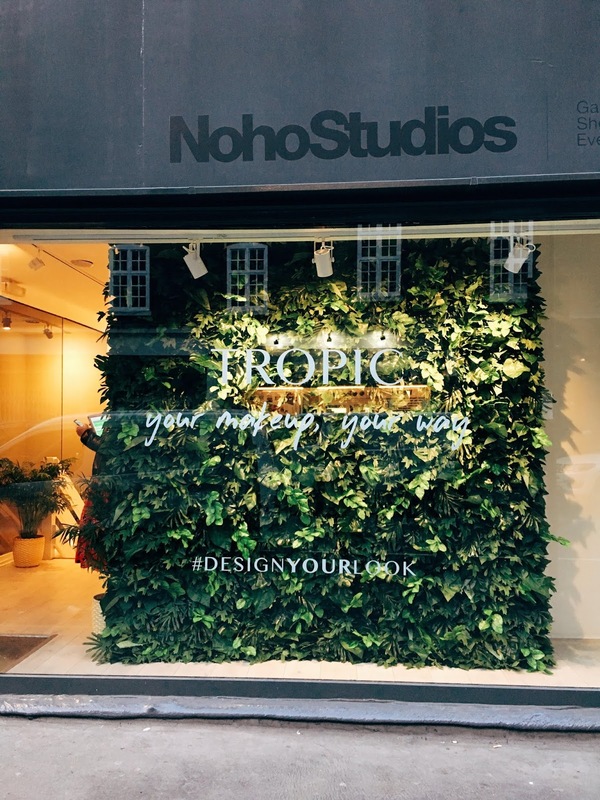 TROPIC MAKEUP REVAMP! - CRUELTY-FREE BECKY. 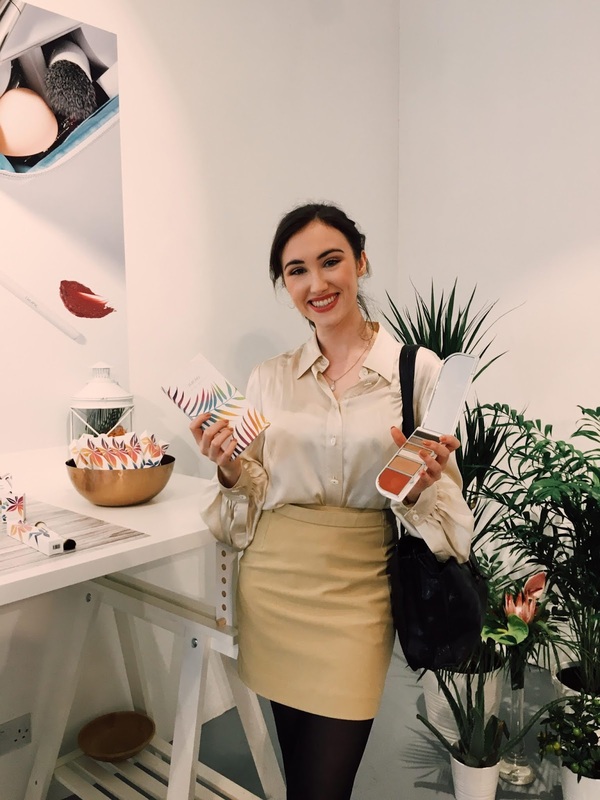 Susie & the Tropic team have been working on the makeup revamp for three long years, so it's not surprising that it is a well thought out launch. 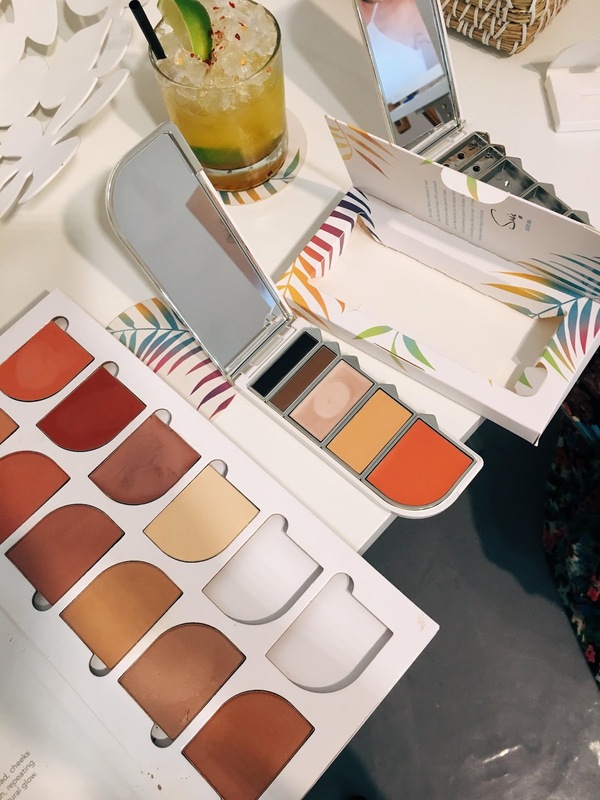 They have relaunched with the environment in mind, making their new makeup palettes refillable and reusable. Cool huh? 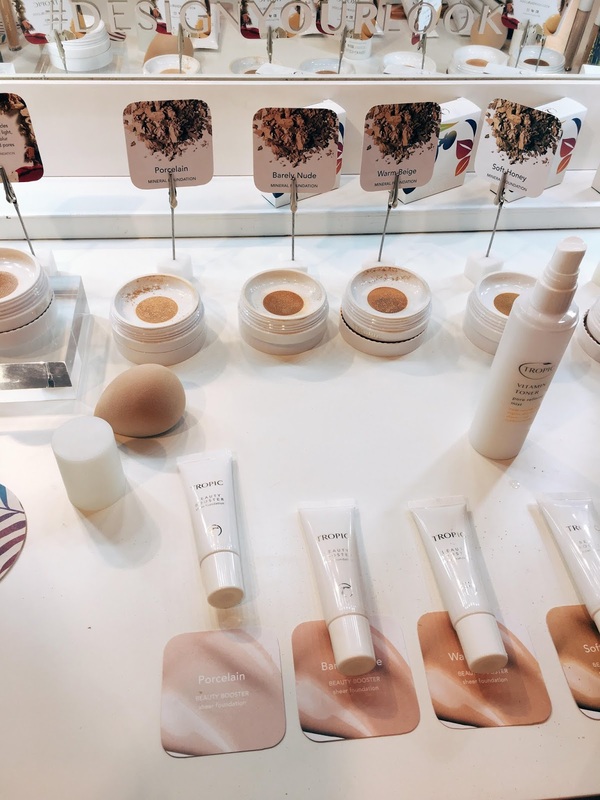 Not everything is refillable however, with their Beauty Booster (BB Cream with SPF), their Mineral Foundation (also with SPF) & their concealers all in conventional packaging. 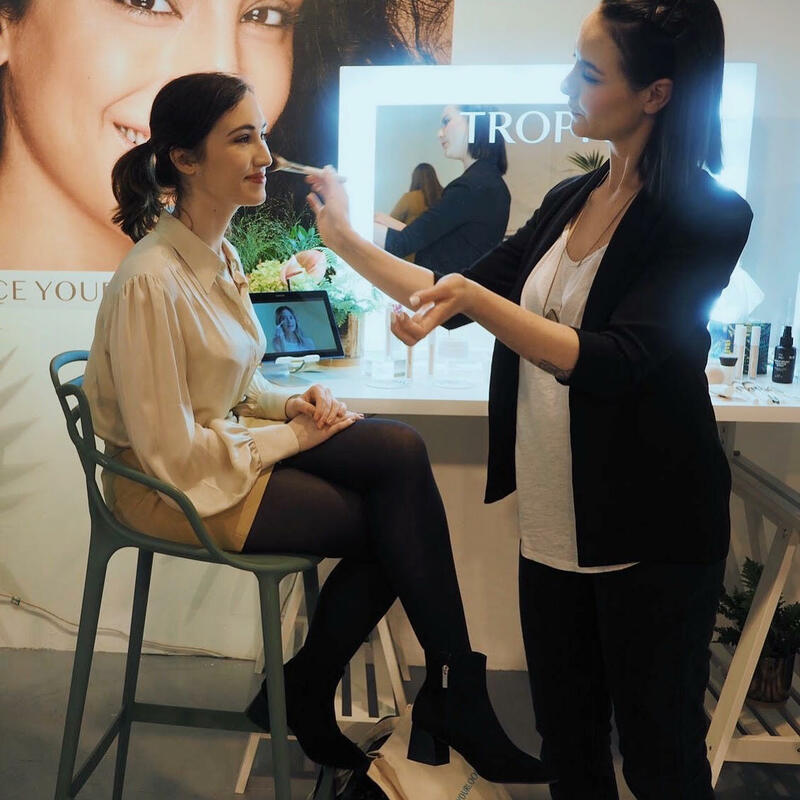 So Tropic launched a load of products from base products to mascara to lippies. I've only tried their Illuma Concealer & Lip Glaze, two of the products in their line that are not refillable. My initial thoughts on these two are that the Illuma Concealer would be perfect for mature skin. It reminds me of the YSL Touche Eclat - but this one is less glittery and has more coverage. The coverage is still light though, but reflects the light in a way that gives truly beautiful coverage and brightening effect on the skin. I like it a lot & I wasn't expecting to. It's not enough to cover my eyebags on it's own, but I LOVE it combined with a high-coverage concealer to bring light & reflectiveness to the area. It's kind of like a clean / natural version of the Charlotte Tilbury Hollywood Flawless Filter actually! The Lip Glaze I have is in the shade Sugar Plum - a sheer shimmery plum shade. This smells like a Drumstick. No no, not chicken leg... that would be bizarre and gross... it smells like a Drumstick sweet/lolly. Not sure if these are just a UK sweet so don't know how effective that comparison is, but the smell isn't bad at all. It does linger on the lips though so if you're sensitive to scents this may not be for you. In terms of formula, the colour is lovely and the gloss isn't too sticky - though it's not creamy in consistency. I'm not sure if I like it more than the Pacifica glosses but I don't dislike it at all. I love the look of the Colour Palette, it's sleek and slim & fits perfectly in the hand. I reckon it'll be the perfect size for travelling & seems it would be robust enough to last. Also can we talk about the MIRROR! I know I'm such a loser when it comes to mirrors in palettes but dammmnnnn this mirror is brilliant - good quality & a great size. In terms of the material that the palette is made from, the pans & lid of palette is plastic (Booo... I get that the use of plastic here is to keep the weight and the price of the compact down, but I kind of wish they at least made this out of reclaimed/recycled plastic, for obvious reasons. Paper/cardboard wouldn't have worked because the palette must be durable, I understand that. Perhaps this is something for Tropic to work on in the future?). However, I was very happy to learn that the refill pans that you buy and dispose of once you finish them are made of aluminium only - a very easily recyclable material. Love that. I also love the concept of having a customisable palette so that you don't get any of those cruddy shades you know you'll never reach for & will go to waste. I'm very excited to put it to the test & share my thoughts with you all! But what are your thoughts on the launch? Is this something you'd be tempted to try? Let me know!